Remember that your Agony Resistance will drop up to 15 points from a lack of helmet or land weapons. Against the krait, use Potion of Krait Slaying or Powerful Potion of Slaying Scarlet's Armies and Sigil Of Serpent Slaying. You need to kill 3 groups of Krait and interact with cages to rescue Villagers. Stack behind a statue to corner the krait and give you a wall for rush-type abilities. The first group has a Damoss and 4 Damosses. The second group has a Damoss, 2 Nimrosses and 2 Hypnosses with their dangerous poison-cloud attack. The last group has 2 Damosses and 2 Nimrosses. After the villagers are saved, the path will split and you will either have to go through Darkness or survive as a Dolphin. Use Tsunami Slash into a statue to deal high damage. Use Vortex to pull Krait together and Feigned Surge into a statue to deal high damage. Use Tidal Wave into a statue to deal high damage. Staying in darkness quickly kills you. 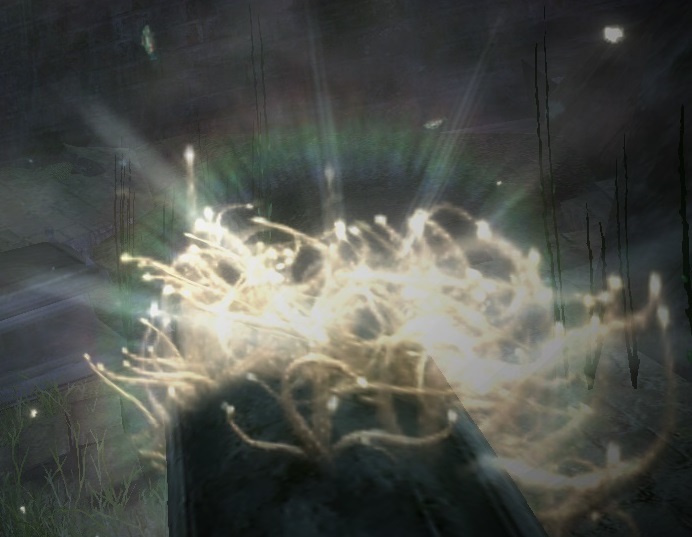 Carry a Luminous Plant to protect you and nearby players. The plant doesn't last very long so start moving once you pick it up. You can drop a plant early to pick up a new one and refresh your timer. Once someone reaches Jellyfish Beast you get a new checkpoint so you can just die if you can't get through. After the descent take a left between the stalactites and stalagmites and cross through the center of the room. Have one person run through solo and the rest of the party res at the checkpoint. Unequip your all armor (including Breather) to prevent repair costs. Armor has no effect and you die pretty easily. Buffs will stay after transformation so stack swiftness and aegis before starting. The area is filled with Krait (most hidden) which can easily kill a lone Dolphin. Surviving is easier if you go as a group (wait for slower people when possible). Your first skill scans the area and reveals hidden Krait so spam it as much as possible. Your second skill summons a clone which you should use to distract Krait (use the skill again to make your clone stop and start "distracting"). Your third skill gives you a slight speed boost but it isn't that useful. Your fourth skill resurrects all nearby players which is extremely strong when in a group. Use it as soon as someone dies. Use your dodges wisely. You need to dodge twice to prevent sink from the Krait. Once someone reaches Jellyfish Beast you get a new checkpoint so you can just die if you can't get through, but don't ressurect before you get the checkpoint or your party will have to wait for you to die again. Stack swiftness and aegis before entering. Hug the bottom right through the whole run. Stick together and ressurect whenever someone goes down. Use a banner so all your party members can use Inspire. Stay at range at all times to avoid Beast's melee attacks, especially his agony attack. Keep up swiftness if you can for a better mobility and dodge away from him if he gets close. Try to pull Beast to electrified cages and break his defiance there for a decent damage. Keep moving at all times to avoid attacks from summoned Jellyfishes. Learn his animations so you can dodge away when he starts spinning. If you get hit you get constantly stunned which makes you an easy target for summoned Jellyfishes. Consider taking stability when practising. His basic Slash attack deals lots of damage and knocks you away. It can be avoided by sidestepping but dodge when uncertain. Go full melee to maximise your damage and ignore cages. Try to cleave summoned Jellyfishes to kill them before more appear. Use area stability or self stability to counter his spinning. Keep his defiance below 50% at all times. Don't push it too low or it might break from conditions. Break the defiance when he uses Swallow to prevent the brief damage resistance. Use Balanced Stance to attack him during electric spin when meleeing. Use "Stand Your Ground!" to protect your team from electric spin. Use Aegis against Slash melee attack. Being in Death Shroud completely counters his Swallow attack. You will get out of the shroud instead of being eaten. Remember to corrupt his 25 might stacks after people get Swallowed. If you expect people to constantly get Swallowed, use Arcane Thievery to steal 25 might and Signet of Inspiration to give them to your team. Use your pets to tank Beast if your party is using ranged attacks. This often keeps him in place which simplifies the fight.